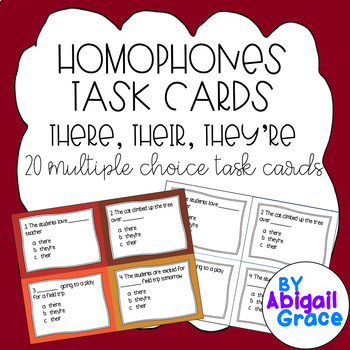 12 task card with answer key for students to practice using the correct form of the homophones.Document also includes a printer friendly version. 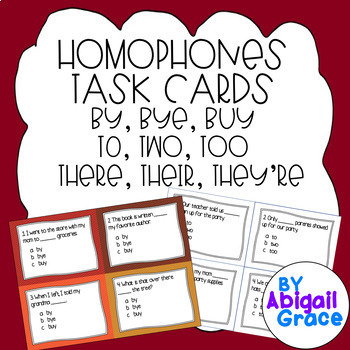 Part of the Homophone Task Card Bundle. 20 task card with answer key for students to practice using the correct form of the homophones.Document also includes a printer friendly version. Part of the Homophone Task Card Bundle. Each set has a colored and printer friendly version.